Over the years the Italian group “Se Non Ora Quando? 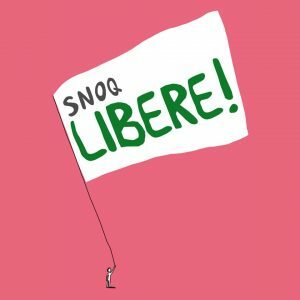 – Libere” (transl: “If Not Now When? – Free”) has campaigned against femicide and violence against women, and has started an important campaign to reaffirm the social and political power of motherhood, aiming to create a new shared common sense around motherhood and advocating the empowering of gender difference. In fact, we think that for the first time in history, the access of women to free expression enables us to think that creation and care of new human beings is an act of freedom similar to intellectual and artistic creation. For these reasons, we launched an appeal that is provoking a wide cultural debate on surrogacy in Italy where, even if it is forbidden by law, the prohibition is circumvented by traveling to countries where surrogacy is legal, with the outcome of often contested debates on adoption lawsuits in courts. On March 23rd we have organized in Rome an international meeting to present a request to the United Nations bodies, in order to address the Convention on the Elimination of All Forms of Discrimination against Women (CEDAW) (and of child and human rights), to create a procedure aimed at recommending the practice of surrogate motherhood to be prohibited as incompatible with the respect of human rights and women dignity. We will send you the request soon after the meeting hoping you will join us in signing it.